Choose to deploy on premise or in your cloud account. Compatible with Android, IOS, Windows, OSX and web. Let us grow your business with all the great features Microsoft® Office 365™ has to offier! Providing the technology security you require to advance your company's goals. Show your clients why you're better than the competition with impactful messaging and strategic marketing techniques. 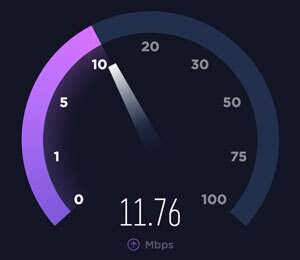 Unsure how slow your internet is? Tired of losing your data when your system crashes. Backup your entire computer or company to the cloud, synchronize data throughout all your computers or even your phone. Cloud is the future and with todays dropping cost of cloud services we can get you and your company fully migrated into the cloud. Having a professional email with your company domain is what makes your company stand out and represent professionalism. With our email service you can migrate from any other POP or IMAP email provider to Exchange class email. Have your emails, tasks, calendars and contacts all sync throughout all your devices. With push notifications you instantly receive and send emails. Because we understand how important email is for business, we support encryption and a wide range of compliance standards, including HIPAA. Need advanced file and printer sharing for your business? Our services provide file sharing for HIPAA compliant companies. Our services support accountability to your companies DATA by providing advanced encryption and monitoring to your files and how they are used. HIPAA Data Privacy and Security Implications HIPAA imposes specific technical and administrative requirements for healthcare IT planners, InfoSec organizations and compliance officers. Healthcare IT organizations must put strong security systems and practices in place to protect access to confidential data and to safeguard the integrity of electronic health records throughout their lifecycle. If your computer is running slow, more than likely it’s being caused by viruses, malware, spyware or a trojan horse inviting more malicious software in. We offer services in virus removal, full system re-installs and preventative protection. In addition, we can optimize your machine to work better than new with SSD migrations. We remove bloatware and other system resource hogs that can be causing your machine to run sluggish. We believe prevention is key to staying safe online. Our technicians test and use all our protection applications to validate they are top of the line in functionality and security for your systems. Trying to connect more than one computer in your house or office? No problem! Our network experts can connect any system to the internet and more. Ask about our remote office services where we make it possible for you to work from your phone or laptop, from ANYWHERE in the world! Our experts have the skills and knowledge to optimize your wireless woes. With expertise in mesh wireless technologies, never run into a dead spot in your WiFi. Ever wanted to keep an eye on your house while on vacation? We offer home and business security services. Whether it be analog or IP surveillance, we have solutions for you. Our smart home and security specialists can not just introduce you to this new era of camera technologies, but can configure it and train you so you never feel like you aren’t there. Web services include everything from a fresh website re-design to building your own private cloud server. We pride ourselves in our technology services and only offer our customers what we would use in our homes and at our jobs.